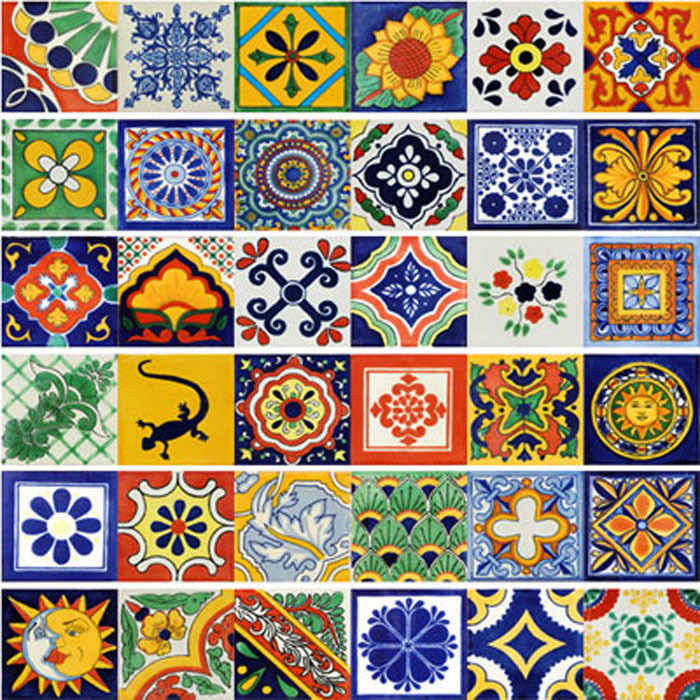 On Mexican tiles for sale we have a broad array of Mexican tiles in sizes 2x2, 4x4, 6x6 and 12 x 12; all our tiles are handmade and hand painted by Mexican master craftsman. Takes a look to our Malibu tile, talavera tiles and ceramic tiles and surely you will find a pattern ideal to make your house or any space colorfull and elegant. 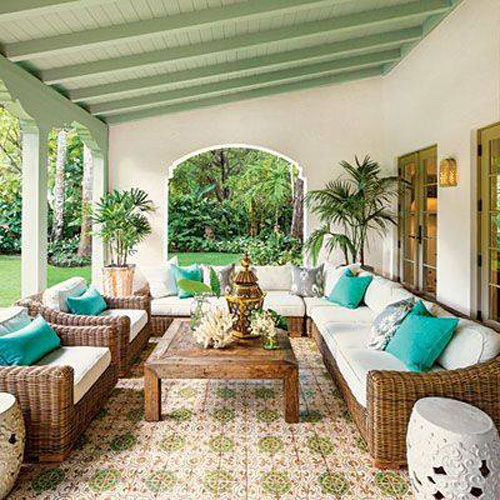 Our Mexican tiles are full of colors and textures, like the Malibu tile. These are especially elegant and high quality. 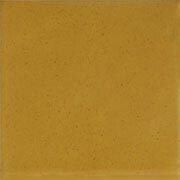 Thanks to their quality you will use it like floor tiles, backsplash, bathroom or wall. 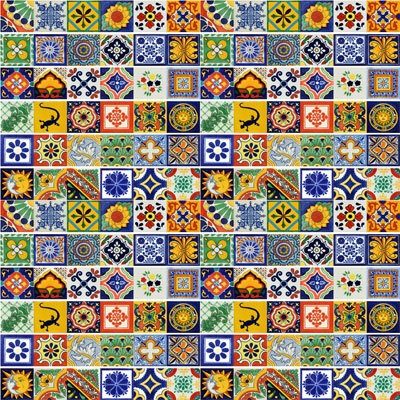 Our tiles are inspired by Mexican art specially the talavera tiles, thanks to his variety of colors and patterns you can use it on bathroom walls, kitchen backsplashes, pool surrounds, stair risers, patios and floors. If you looking for plain color tiles, we have a big variety of ceramic tiles bright colors, matte finish, washed colors and ceramic trim tiles. 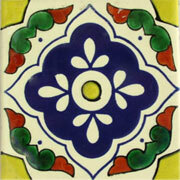 To complement your home decor with Mexican tiles you can use ceramic sinks, all our sinks are handmade and hand painted by Mexican artisans that have many years of experience doing this handcrafted pieces, they have learned antique techniques to make this art pieces from generation to generation. 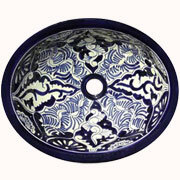 Our talavera ceramic sinks catalogue includes ceramic vessel sinks and ceramic sinks drop in. 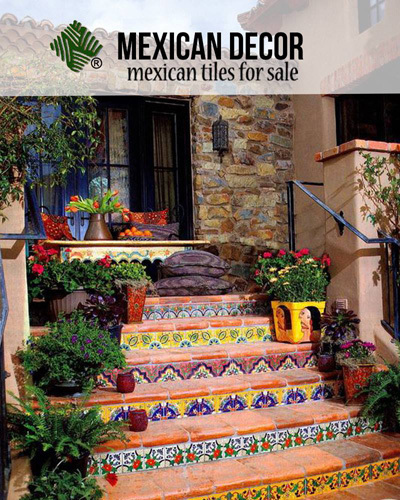 Mexican tiles for sale offers, we have been making these clay fired tiles for decades, using an Spanish technique named "cuerda seca", it adds elegance and sophistication to your designs. 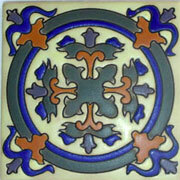 These tiles are made of clay, fired at high temperatures which make them to last long. Use these colorful handcrafted tiles for decorative accents on kitchen, bathrooms, patios, window surrounds, fireplaces and more. 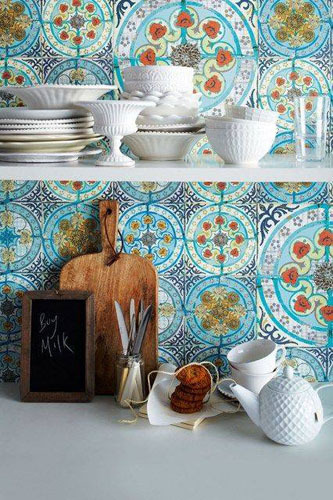 Our tiles are available in solid colors and a selection of hand painted patterns. 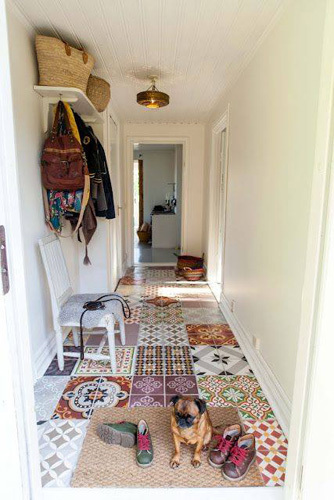 Use all solid or all pattern tiles or combine them to create awesome designs for your decor. 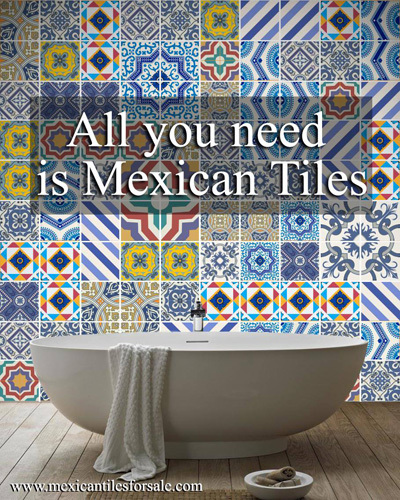 Mexican tile company, has been in the tile industry in San Diego, California, for more than 30 years offering the Mexican art in each tile, elegant and high quality pieces, the best choice to decorate your house or any place with the elegance and colorful of the Mexican art. Offers unique pieces of art, the tiles, trims and sinks we sell are lead free, handmade and hand painted by Mexican artisans. ¡You can find the most elegant collection!